Let's start with the packaging. It looks like the Vitalumière Aqua foundation, but all black. I never had the Vitalumière Aqua. It has an all black sleek packaging, not too big. It's great for traveling. There's no pump, but you don't have to waste too much product (like the Estée Lauder Double Wear for example), because you can squeeze the product out. Pretty hygienic, I like it. Though without a pump it's kind of hard for me to dose. 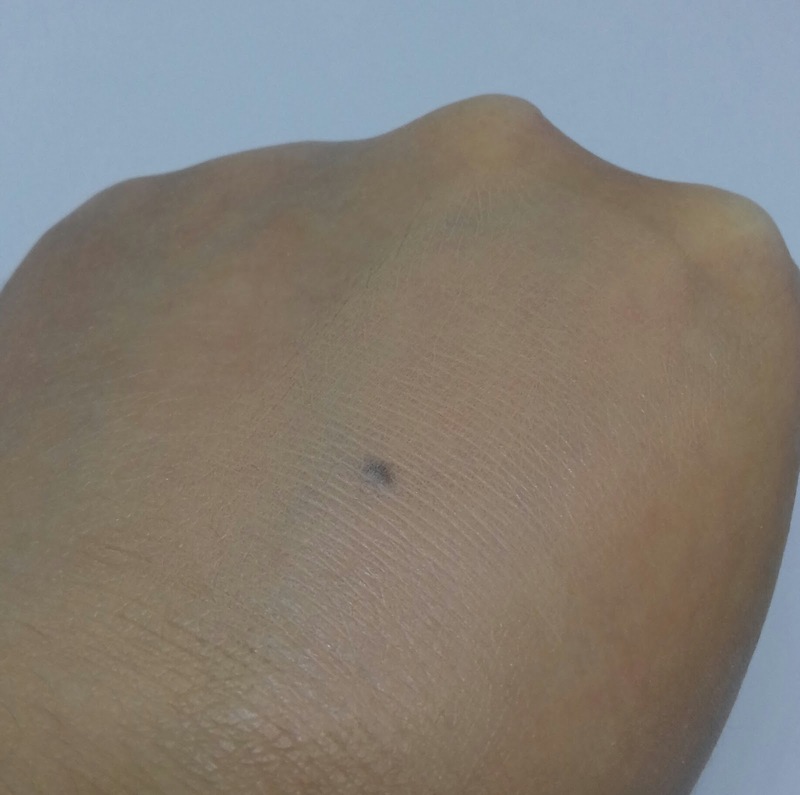 I tend to squeeze out four little dots, but I have the feeling that that's a little bit too much. Before use you're supposed to shake the foundation. There are shaker balls in the bottle. I have heard that you're not supposed to shake the bottle like crazy, but that you're supposed to gently move the bottle upside down and back in your hands until you can't hear the shaker balls anymore. Shaking too hard apparently makes the formula of the foundation go bad. The formula of the foundation is quite watery. I think it's best suitable for oily to normal skin. If you have dry skin it might enhance it. It sure enhances flakes on my skin if I have them. The formula is watery and that's why I think it's perfect for spring/summer. It feels like you have nothing on your face, because it's so lightweight. 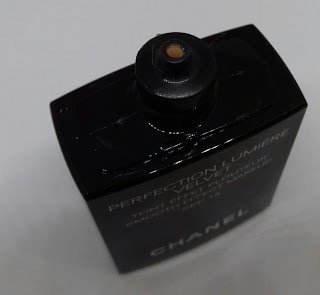 Mind you, there is perfume in the foundation, so if you don't like that, this might be a skip for you. I don't mind it and I love the scent of this foundation. I can't describe the scent very well, but it's kind of florally, but also reminds you of a luxurious moisturizer. YouTuber TophCam said that it kind of smells like the Hydra Beauty line (I am not familiar with it). 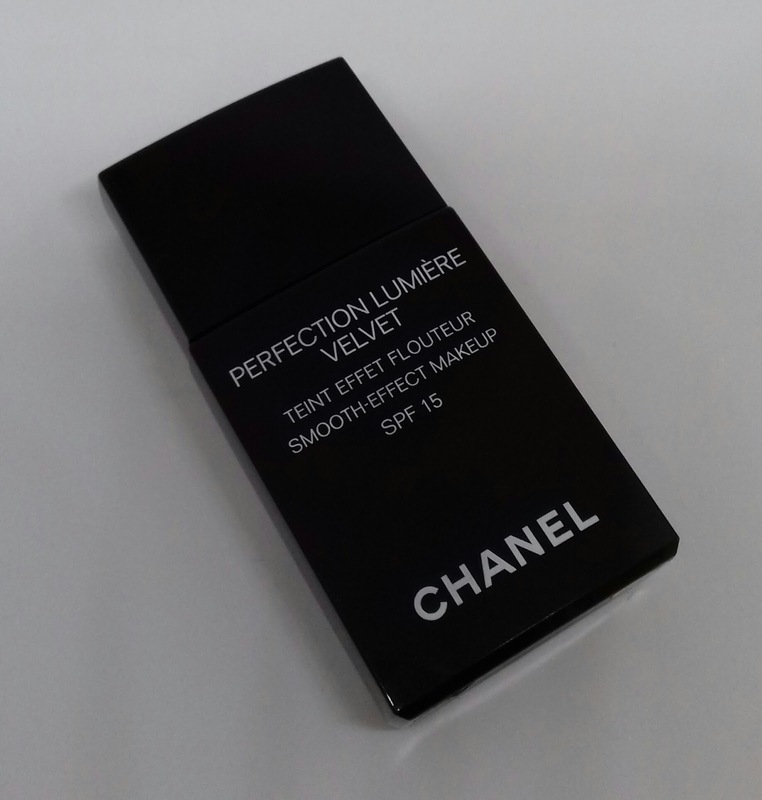 The formula is watery, but after you apply it, it sets like a velvety powder. I love the finish. It looks so good. 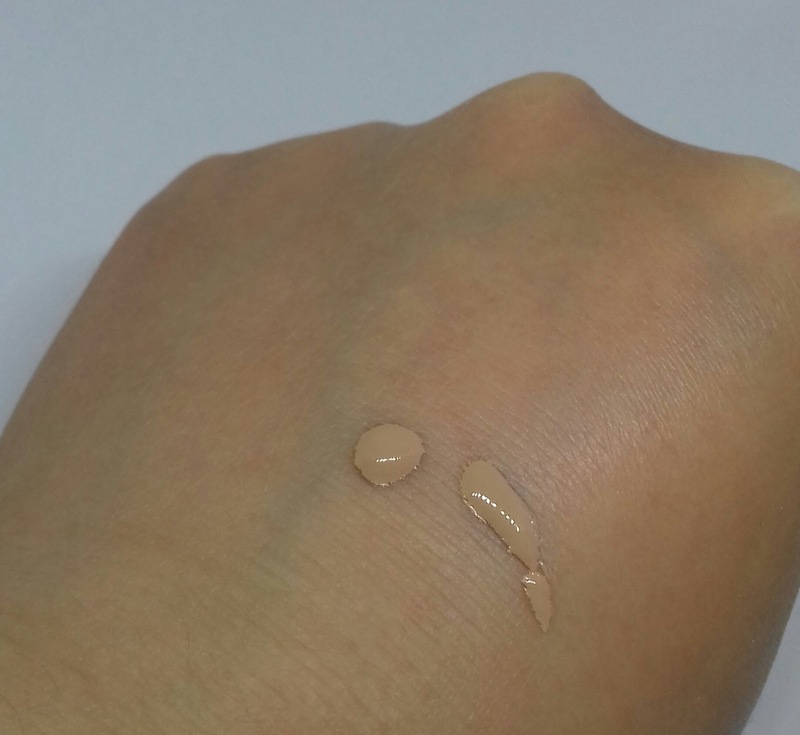 It's very natural and not shiny, what liquid foundations tend to be on my skin. I sometimes forget to powder after the foundation, because it looks like I have already powdered my foundation. It blends very well and if you don't use that much product, you'll get a very natural, no makeup finish. According to Chanel it's best to apply this foundation with you fingers, but I apply it with a brush. As you can see, one thin layer of foundation gives you a very natural coverage. I'm more of a fuller coverage person, so I use a bigger amount of this foundation on my face. The coverage is very buildable, without looking cakey. I really love the formula of this foundation and especially the velvet finish. It's almost like a powder but not as matte, if that makes sense. I still need to powder it, because when I don't, my face gets greasy sooner and I'll look like a hot mess. The staying power is pretty good if I powder it off and set it with a spray (and don't touch my face fir the rest of the day). I think this foundation is perfect for spring/summer and those who like a lightweight foundation. I like this foundation for the summer, but since it's getting colder now and we're in the fall season, I do tend to go for a heavier foundation. My oily nose, forehead and sometimes cheek area do peak through after a few hours of wear, but it's so extreme in my case, it doesn't surprise me anymore. Would I repurchase? I don't know. 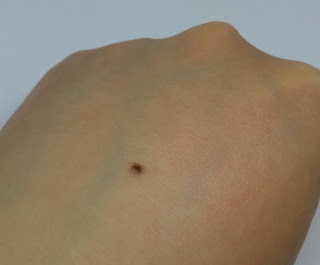 I do love this foundation for the summer because it's so lightweight, but since it's not an exact color match I'm still looking or another lightweight foundation with medium-full coverage that matches my skin tone. 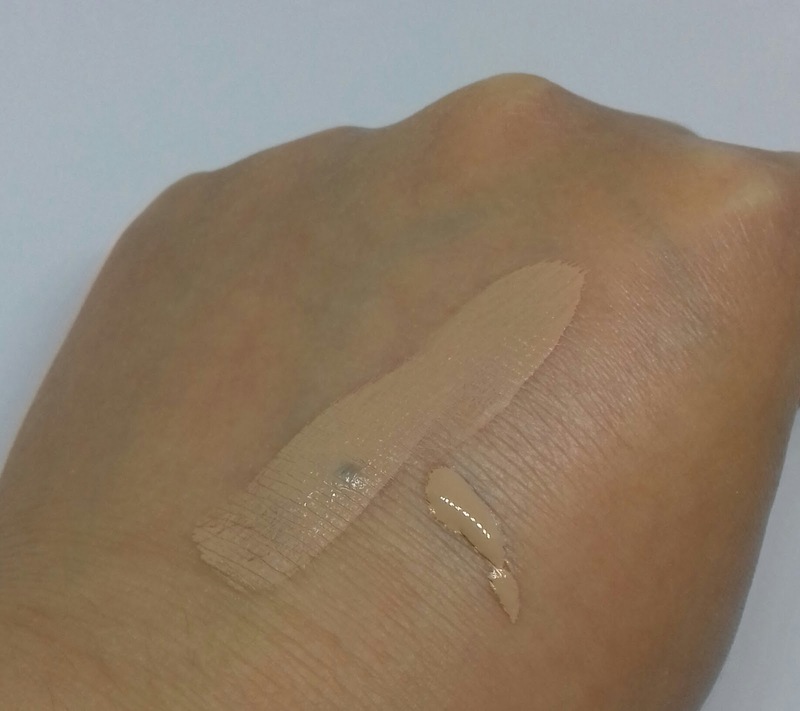 I have this foundation in color 20 Beige, which turns out to be not yellow enough for my skin tone (surprise! ).